Apple’s iPhone 5S will be released later this year, although the exact timing of the launch is still a matter of much speculation. According to a recent report via DigiTimes, Apple’s component suppliers are due to commence shipping parts for the new iPhone 5S in May, with the actual finished handset to hit stores sometime during Q3 of this year. Whilst the reliability of DigiTimes oft-quoted “upstream sources” is debatable, a third-quarter launch timeframe does fit with a number of high-profile analyst predictions (and Apple’s standard refresh cycle). For reference, the iPhone 5 hit the market in September of 2012. If you’re to believe a new report from unknown tech blog Gizmorati, the iPhone 5S will be announced alongside the iPad 5 at a special event on June 29, 2013 entitled “Original Passion, New Ideas” to celebrate six years since the release of the original iPhone. Both the timing (June 29 is a Saturday) and the title of the rumored event seem highly unlikely. Low Cost iPhone 5 Coming Too? Like all “S” model iPhone’s before it, the iPhone 5S will feature a spec bump – a faster processor (likely the A7) and perhaps a higher megapixel camera, but not much else. The iPhone 5S will be to the iPhone 5 what the iPhone 4S was to the iPhone 4, and the iPhone 3GS to the 3 before it. Apple are not expected to change the form-factor of the iPhone 5S, which generally happens every two years. Earlier in the year, analyst Ming-Chi Kuo reiterated that the iPhone 5S would feature the same 4-inch display as the current model iPhone 5. 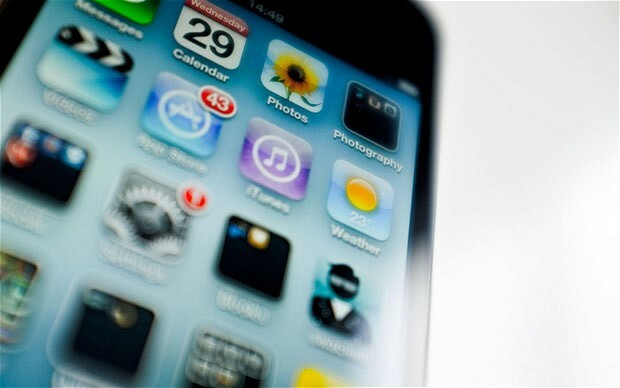 We should expect to see a completely redesigned iPhone 6 however, likely with a larger display, next year in 2014. Apple acquired biometrics firm AuthenTec in 2012 and there have been rumors that Apple are looking to implement fingerprint recognition technology in the iPhone 5S. The move makes sense when you consider that Apple already has millions of credit cards on file via iTunes, hundreds of store and loyalty cars via Passbook and is undoubtedly working on mobile payments via NFC in upcoming iPhone models. Forbes have recently reported that mobile payments are a huge potential source of revenue for Apple and that fingerprint technology would provide a much-needed security measure in this space. Apple have been long-rumored to be working on a cheaper iPhone 5 which will likely launch alongside the iPhone 5S later this year. Aimed squarely at the developing world and the ‘lower’ end of the market, a cheap iPhone 5 would offer Apple a new avenue to grow earnings as well as increase overall market share against a host of low-cost Android devices. Little is known about the cheaper iPhone 5, but the smartphone is widely expected to feature a plastic casing and non-retina display in order to reduce the cost of manufacture. Are you looking forward to the iPhone 5S? What features would you like to see? Let us know in the comments below.